Telltale Games wants your opinion on the best parts of Back to the Future so it knows what to put in its upcoming videogame series based on the movies. Telltale Games announced that it was developing an episodic adventure game series based on the Back to the Future movies in early June, and now it wants your help to figure out exactly what the games should cover. A recent Telltale blog post encourages interested gamers to complete a survey that will help the developer determine the proper direction to take. Who can blame them? Trying to figure out exactly what to do with the beloved movie trilogy must be fairly tough, not to mention that the last Back to the Future film was released 20 years ago. When time travel is involved, Telltale could really go anywhere and do anything. 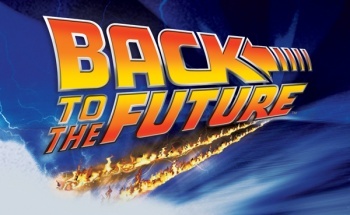 The survey asks respondents what era from the films they find most interesting, from 1885 to 2015, and which decade they'd like to see as a setting for the Back to the Future games, from the 1920s onward. It goes on to ask about which characters players would like to control, who they'd like to encounter, and what the key elements of Back to the Future are. This could be a hint towards what we'll be seeing in Telltale's final product. On a side note, the survey begins by asking what popular movie series respondents have seen, making me wonder if Telltale has plans to take on more than Back to the Future and the also announced Jurassic Park. Films mentioned were Indiana Jones, Harry Potter, Lord of the Rings, and Ghostbusters. Any of these would be fun to see as an adventure series, so lets hope that's what the question was posed for.